It wasn’t just the moment that Australian cricket was brought to its knees. It was the moment that Australia’s love/hate relationship with its cricket team went to hell. The Cape Town ball tampering scandal, dubbed ‘Sandpapergate’ by unimaginative media types, was the moment when the mythical ‘line’ in Australian cricket was finally crossed. By that time, the line resembled a Mr Squiggle doodle. It was a vague and self-serving concept scorned by rival teams who had copped the wrath of the ugly Aussies. As coach Darren Lehmann put it, his team had frequently “butted heads on the line” and three players – captain Steve Smith, vice-captain David Warner and opening batsman Cameron Bancroft – knocked themselves out. Australian cricket had been headbutting the damned line for so long that apparently a few brain cells were missing by that fateful Test match in March 2018. That was part of the reason for the Australian public’s storm of outrage: it was all so very stupid. It was not just cheating, but the Dummies’ Guide to Cheating. Taking a piece of sandpaper on to a professional cricket field riddled with television cameras, on foreign soil in front of suspicious eyes? Warner might as well have handed Bancroft a disc sander. Former Australian captain Ian Chappell also claims that the Aussie camp was warned that ball tampering was on the radar of South African broadcasters from the first Test; Cape Town was the third Test. But the biggest reason Australia went into a nation-wide mob mentality? Taking a piece of sandpaper on to that field was pure, disgusting arrogance. It was an act that lacked any sense of right and wrong, that demonstrated a disregard for the laws of the game and basic morality. It was the type of hubris that Aussie cricket fans had uncomfortably copped from their team for a long time, and when that arrogance crossed into illegal territory, they took the invitation to unleash their pent-up fury. It was a long time coming. Smith, Warner and Bancroft, deserving though they were of public backlash, copped a collective bake that was unprecedented in Australian sport and was partly thanks to the deeds of predecessors. All the focus after the Cape Town fiasco centred on culture. Australian cricket had built its brand on being relentlessly aggressive, a bullying victor that made no apologies. Ever since Allan Border and Mark Taylor’s teams hauled Australia from the swamp of mediocrity, the Aussies were intent on ruling cricket with an iron fist in a titanium glove. Steve Waugh coined the term ‘mental disintegration’ and the die cast was for a generation of players. There were front-page calls for Ricky Ponting to be sacked after the SCG Test of 2008 against India, along with Adam Gilchrist and Matthew Hayden; such was the rabid manner in which the Australians pursued a last-gasp victory. A searing piece from The Sydney Morning Herald’s Peter Roebuck said that Ponting had led "the ugliest performance put up by an Australian side for 20 years" and concluded: “It is possible to love a country and not its cricket team.” The fallout of that Test, of course, became the saga of cricketing ill-will that was Monkeygate. Michael Clarke, like his predecessors, led with the weight of not just runs but words. He once told England paceman Jimmy Anderson to “get ready for a broken f---ing arm” and his take on the planned renewal of Australian cricket after Cape Town was telling. While condemning cheating, he did not welcome the prospect of Australia toning down its no-holds-barred approach to cricket. He also claimed that the Australian cricket team did not need to be loved. ‘‘Australian cricket, I think, needs to stop worry about being liked and start worrying about being respected,’’ Clarke said on Macquarie Sports Radio. ‘‘Play tough Australian cricket. Whether we like it or not, that’s in our blood. Those comments came at the lowest ebb of Australia’s relationship with its cricket team. Parents whose boys and girls saw Aussie cricketers as heroes were left explaining to their kids why Smith and Warner, whose signature bats were proudly used in backyards nationwide, had cheated not just the game but their country’s sense of national identity. Clarke’s comments thus incited a nuclear response from top broadcaster Gerard Whateley, who pointed the finger at the former captain as the root of Australian cricket’s cultural problems. "To hear it, to read it, it just made me angry. The fundamental lack of understanding of what has taken place,” Whateley said on SEN Radio. "And Clarke's hand in it - because you can trace a lot of this back to the moment where Australian cricket chose to install Clarke as captain." Clarke was furious. In his retort, he branded that charge “an absolute disgrace”, Whateley “a headline-chasing coward”, and for emphasis renamed the broadcaster ‘Gerald Wheatley’. The name gag was an immature pot-shot that did not paint the former skipper, dressing room sparring partner to Simon Katich and far from Australia’s most popular cricket captain, in a good light. Clarke’s reign as captain coincided with a critical juncture in Australia’s relationship with its cricket team. With the likes of Ponting, Warne, Gilchrist, McGrath, Hayden and Langer gone, the Aussies lurched back into the pack with their international rivals. The world-beating talent departed, but the side’s air of arrogance did not leave with it, even though humbling defeats were now delivered alongside continued triumphs. Watching a lesser group of players carry on like their record-breaking predecessors was too much for many Australian fans to cop; they’d found it distasteful enough when their team was winning everything. After Smith’s Australian team found disgrace in South Africa, Whateley made the point: "Tim Paine’s Australia isn’t trying to be the most liked team in world cricket. It is very specifically trying to no longer be the most despised team in world cricket, a scourge that is part of Clarke’s legacy. Warner became the perfect case study for Australia’s relationship with its cricket heroes. Still known as the man who punched Joe Root in a pub on an Ashes tour, the pugnacious opening batsman was as eagerly celebrated for his successes as he was condemned for his failings. 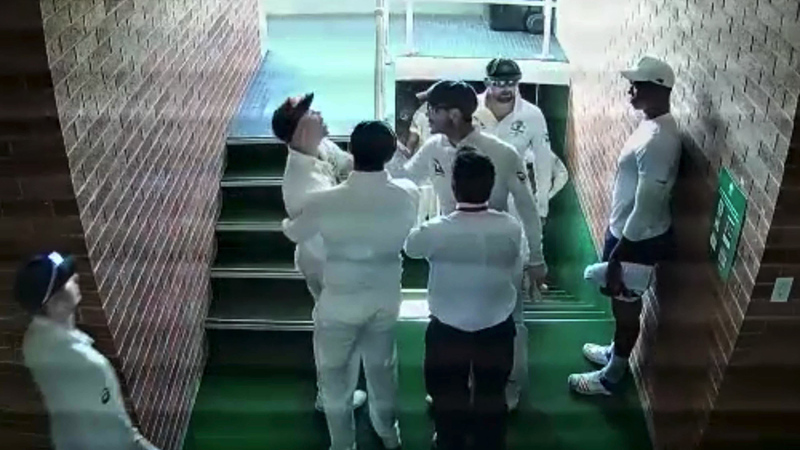 Even when Proteas batsman Quinton de Kock made a “vile, disgusting” comment about Warner’s wife Candice during the first Test, it was tempered by reports that the Australian vice-captain had relentlessly sledged his opponent during play, inciting the awful response. Even when de Kock hit far below the belt, resulting in an off-field scuffle, Warner was not blameless in the public’s eye. Two Tests later, he became the ringleader of Australian cricket’s biggest scandal. Smith was another matter. He was a cleanskin, softly-spoken captain who had turned himself into the greatest batsman since Bradman. A fresh-faced superhero. Initially, naively, he falsely claimed that he had overseen the ball-tampering scandal, rather than simply turned a blind eye to Warner and Bancroft’s plot in a momentary failure of leadership that would prove catastrophic. He had no idea what a big mistake he’d made. It was a vanilla form of arrogance, likely based on the miniscule penalties handed to previous cricket ball-tamperers, but a variety of that affliction nonetheless. He was soon to find out. After confessing his true role in the affair, the best-since-Bradman was jostled by a security throng as he left Cape Town Airport, heckled as a cheat as he played out a scene usually reserved for criminals. By the time he arrived in Sydney, he was a broken man. He wept on live television in front of Australia as his father’s hand rested on his shoulder. Now he knew what he’d done. Only as abundant tears were shed did his countrymen soften their fury. No lynching. A long ban would have to suffice. 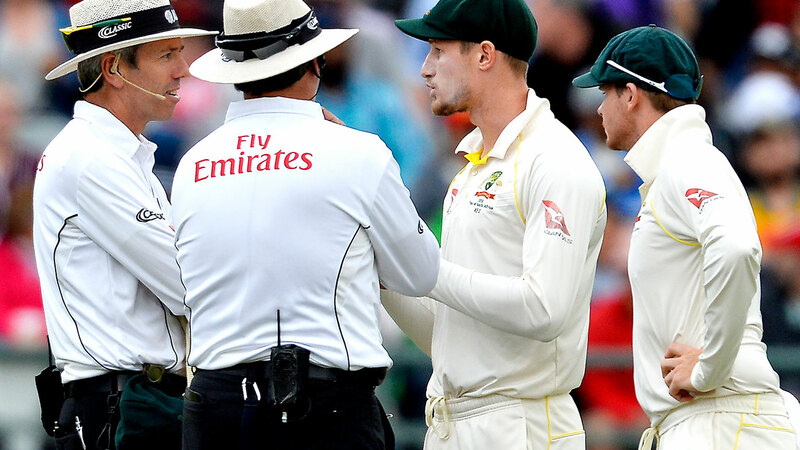 Bancroft spoke before Smith, stone-faced and contrite. Warner spoke later, also weeping openly; yet such was the public mood, he was granted none of the sympathy afforded to Smith and accused of crocodile tears. The penalties were the final verdict and they were damning. No cricketer had ever before been banned from a Test match for ball-tampering … and Cricket Australia suspended Smith and Warner for 12 months, Bancroft for nine. It was a referendum on public outrage, not cricketing morality. They had not just cheated at a game, but brought hurt and shame upon the nation; they made ABC commentator Jim Maxwell cry, for goodness sake. And for that, it was deemed they must be severely punished. Would there have been such outrage, such thirst for comeuppance, had the Australian cricket team not fostered such a love/hate relationship with its fans over so many years? No. Would Smith, Warner and Bancroft have been handed such extreme penalties had there not been such venomous anger from those fans? No. Australian cricket let that venom simmer away for years, looking at the wins column and not the bigger picture. In the end, they built a rod for their own backs. Smith, Warner and Bancroft stepped over a line of right and wrong that should never have been so hazy. The savage backlash of a tired Australian public, offended by years of boorish behaviour from their team, ensured that there was no choice but to banish them with historic sanctions. 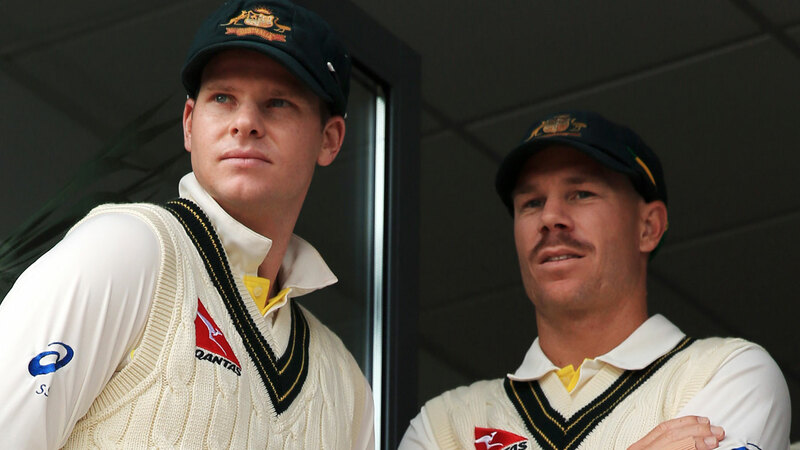 This year, Smith and Warner could help win Australia a World Cup and an away Ashes series. They rejoin a group of players that has done some sterling work repairing the reputation of the national team; with the fans who are still watching, at least. They will return to the Australian team under an unforgiving microscope. Smith has regained a measure of goodwill; Warner, too, if much less so. Fans will hope to see them resume their world-beating batting. Yet they will never forget. The healing process is underway, but Warner and Smith will forever be the men who finally broke the fragile relationship between Australia and its cricket team on a dark day in Cape Town.